Designers wanted for Make Shape Change 2016 schools programme! We’re calling for designers to open young minds to the value of design by delivering a two hour workshop in schools. Following the success of the Make Shape Change 2015 pilot project we’re expanding the reach in 2016 and aim to bring the design workshop to 38 classes in Dublin before the school summer holidays. Last year 17 design volunteers inspired and motivated students in 10 Dublin primary and secondary schools. The response from students has been incredibly positive and 2016 is an opportunity to get even more young people thinking about how the world is made around them and where design fits in. This is an opportunity to talk to young people about what you do and to show them your work and why it’s important. If you’re interested, please email design@dublincity.ie. 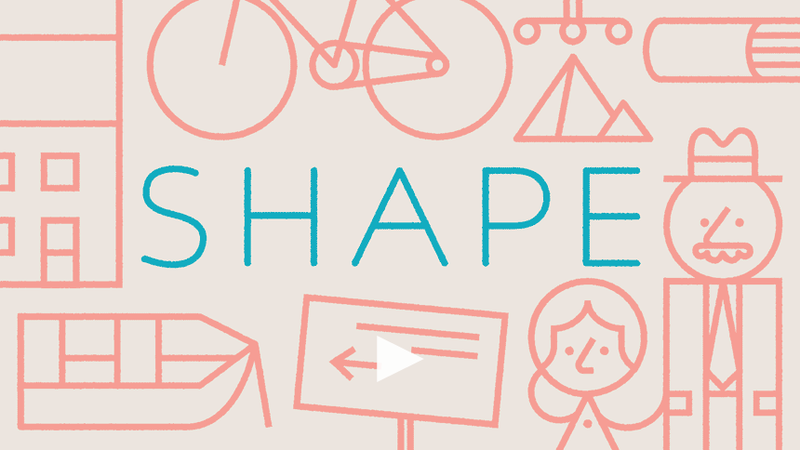 Make Shape Change has grown from a film to a website to an education programme. In 2012 PIVOT started a collaboration with director Johnny Kelly, designer Scott Burnett and creative audio studio Antfood to produce a simple animated film with the aim of explaining design. The challenge was to show what design is, and why it’s important in a way that could be understood universally, so without language. Simple. After exploring several ideas the team did the only sensible thing and decided not to focus on design at all.